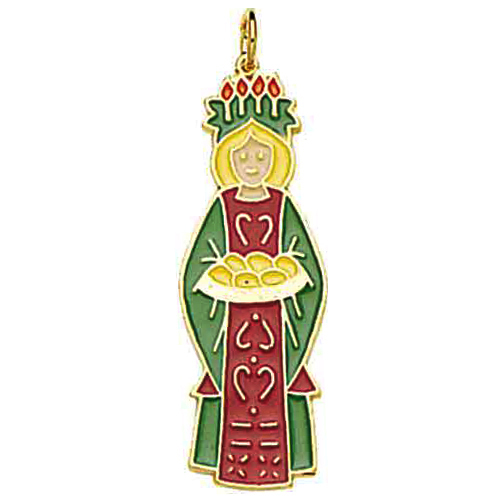 Saint Lucia beautiful Christmas tree ornament. A festive and elegant touch throughout the Christmas season. Gold plated with hand enameled colors. Includes a 33" cord to wear as a pendant. A 24 gold plated chain is available at an additional cost. Gift boxed. Prices are subject to revision without notice from the manufacturer, please contact us to confirm current price.